Sydney - The International Air Transport Association (IATA) 74th Annual General Meeting (AGM) [unanimously] approved a resolution denouncing trafficking in persons, and committing to a number of actions related to anti-trafficking initiatives. An estimated 24.9 million people are illegally trafficked and live in conditions of modern slavery. The extensive reach of the global air transport network means that unfortunately, airlines are used by traffickers to facilitate their activities. "Aviation is the business of freedom, flying 4 billion people to every corner of the earth last year alone. Some, however, try to use our networks nefariously. Trafficking in people creates misery for millions, and funds criminal gangs and terrorism. As a responsible industry, our members are determined to help authorities stamp out human trafficking," said Alexandre de Juniac, IATA’s Director General and CEO. Best Practices : The resolution calls for sharing of best practices among airlines. Many airlines are already active in the fight against human trafficking. Many of the best practices they have developed now appear in the IATA Human Trafficking Guidelines, designed to assist airlines to take the right response to this challenge. Training: The resolution also commits airlines to train relevant operational staff with the objective of identifying potential trafficking situations and taking appropriate action that does not compromise the safety of the victim. A Team Effort in Reporting : The resolution also calls on government authorities to establish clear, practical and discreet mechanisms for the reporting of potential trafficking activity in the air transport system. 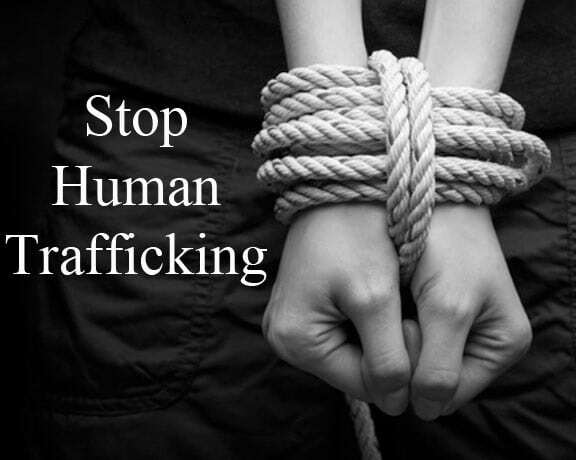 Human traffickers operate in plain sight and can only be stopped with the full cooperation of all parts of the value chain, especially airport operators, ground handling agents and other air transport system stakeholders. Mira Sorvino, an Academy Award-winning actress and Goodwill Ambassador for the UN Office of Drugs and Crime (UNODC) addressed the IATA AGM via video. "I commend IATA for working with UNODC to raise awareness and provide tools and guidance to help airlines get involved in anti-trafficking initiatives. Your "eyes open" campaign has really helped to bring this issue up the agenda. And many congratulations to all of those individual airlines that are already working on this issue. No one is expecting the aviation industry to take over the role of law enforcement. But you and your staff can become additional boots on the ground to support them in the fight against this horrific crime," she said. Αναρτήθηκε από geop στις 11:39 π.μ.